Planning and scheduling … challenges construction managers face daily. Project safety, efficiency, and profitability all hinge on nailing down a thousand-and-one scheduling details. 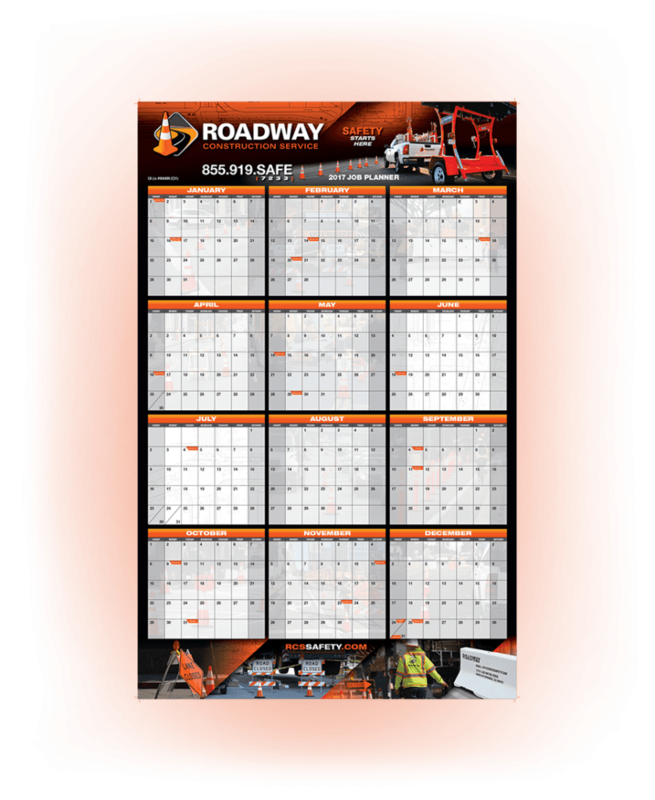 That’s why this holiday season we’re sending something special your way — the 2017 Job Planner wall calendar. This is the wall calendar for scheduling and planning. It measures a 24″w x 38″h, so it can cover every planning detail. Yet, it easily fits on walls or doors. And you can post it anywhere … office, job site … wherever and whenever you need an at-glance-view to track appointments, deliveries, inspections, work schedules and site work. It’ll be there. Sure, planning and scheduling software can help. But this calendar gives you the whole story at a quick glance. How convenient is that?